We’re Ingka Centres. And we love people. When people meet each other, incredible things can happen. Ideas sprout, new friendships begin and old friendships get a new start, collaborations produce results and even love blossoms. So, what’s our role in all of this? Ingka Centres provides spaces where this magic can happen. 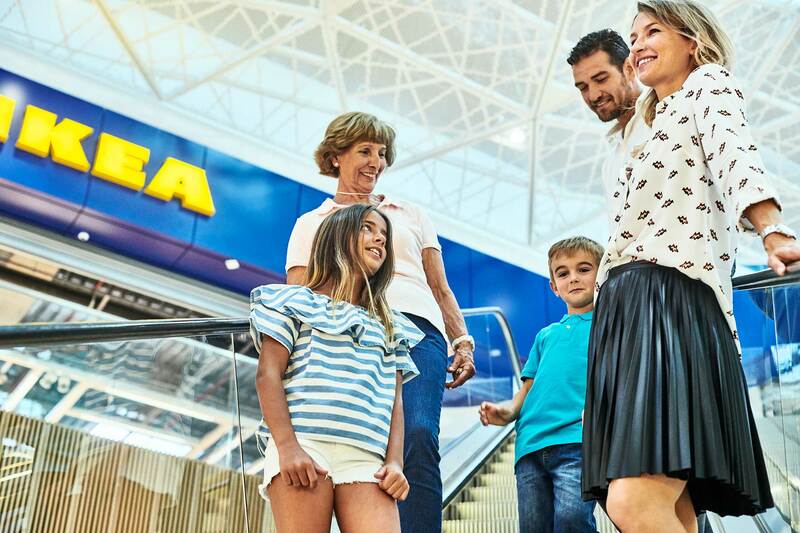 Our centres offer many reasons to visit – always anchored by IKEA and together with many inspiring partners, they attract many people, every day. We have the best job in the world. We offer places where the many people meet and where you can meet the many people. We changed our name to Ingka Centres as part of a global shift in the IKEA Group, which is now renamed to Ingka Group. Over the years, Ingka Group has grown successfully by adding several business lines next to the retail business. Now the IKEA brand only refers to the core retail business of Ingka Group, and other Ingka businesses have their own identity. The three businesses in Ingka Group are IKEA Retail, which operates 367 IKEA stores that each year receive 800 million visitors, with two billion visits to IKEA.com; Ingka Investments, whose main mission is to protect the financial independence of the group in the long term by investing in strategic businesses outside the pure retail; and us, Ingka Centres, owning 44 shopping centres in China, Europe, and Russia and welcoming 480 million visitors each year. As a long-term partner of IKEA, we share with them our vision, which drives us every day and in everything we do. It’s a powerful and helpful tool that inspires us in our daily jobs, that shapes our ideas and that brings all of our co-workers together. And it’s around these words that we create meeting places that make people’s lives a little bit easier, more exciting and, most of all, happier. Just click on the link below to have a sneak-peek of our background and our shared relationship with IKEA. We have big plans for the future. And everyone can be part of it. We have just embarked on an exciting journey that will take us to revolutionise the traditional idea of shopping centre and transform it into that of meeting place. Our journey to create a new concept of meeting places started from the many people. We’ve listened to their wishes, investigated their habits and collected their stories to create spaces with a varied offer of services that is suitable for everyone. And because we like to do things together and involve people, everyone is welcomed to join and help us make our plans for the future become reality. You too.